You must be a member of the Wrocław Asian Culture Group to attend this activity. Would you like to join this group? 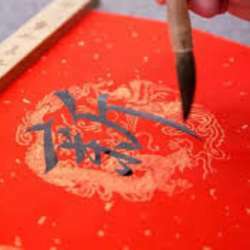 Chinese calligraphers use ink brushes, ink, paper, and inkstones to craft their character-based artworks. Their materials are essential implements known as the Four Treasures of Study (文房四宝; Wénfáng Sìbǎo).